Hmm, it might be an interesting mod to replace the console's game save data memory with something non-volatile. Perhaps something larger, as well. What about using an Action Replay Plus 4mb? I have 2 Saturns, one chipped and the other is the model that is hard to chip - so no chip. 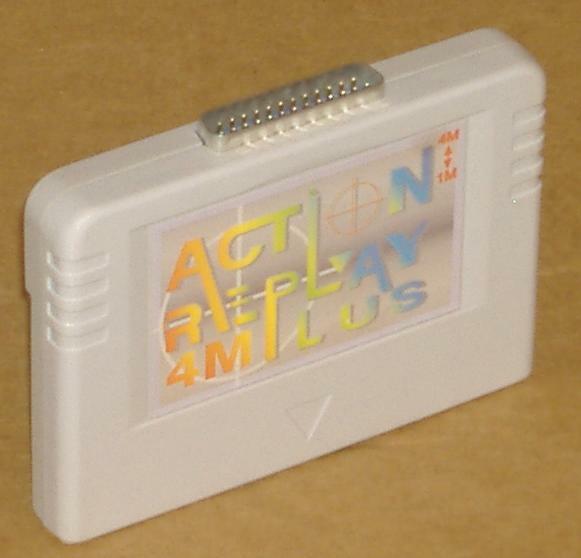 I would like to flash the Action Replay if I can still use it as a ram cart and store saves... or ram cart at least and change batteries when needed. That's what we were abbreviating as AR cart on previous pages. Seems you lose the back up save/save manager. 1. With flash mod to play back ups/CDRs. Saving directly to internal battery. 2. To move save files over to. Ensuring if CR battery dies, you don't lose saves. Not sure if you lose the 4mb RAM functionality. Would have to re-read thread & refresh my memory. From what I have read it will not save, like you said, but someone said the ram would work. I was hoping someone here, since I trust our community more, would know for sure. The battery in my Saturn seems to last 100 times longer than the Dreamcast so I would be willing too loose the save function. You don't lose the ram function, just save. I would hate to have to keep swapping out carts to move saves. You're asking for that slot to eventually fail or be temperamental. I also noticed the batt seems to die faster of you don't leave your SS plugged in, which I don't. Save batt in DC? Your VMU can still hold saves if it's beeping at you (indicating dead batt). You just can't play mini games or check it when console isn't on. Right? I think the one I use now beeps at me but I don't lose the saves. Yeah, I've lost alot myself leaving it unplugged. I just leave my saturn plugged in now. I was halfway through disc 4 on Panzer Dragoon Saga in college when my save was erased. It took me five years to muster up the gumption to play it again. I always heard PD Saga was fairly short (like 7-12 hours). A fresh battery should do nicely for that game at least. Most games don't absolutely require long term saving, and the battery save is a nice Saturn option that the PS1 never had. Dragon Force and SFIII Trilogy really do need a memory cart though. I always thought it was odd not all games that save allow you to save directly to an official memory cart. I've never owned an official one but assuming you had to use the save manager for games that can't save to cart. Then it's also weird the AR doesn't support saving directly to it, even for games that support it on an official cart. ... head spinning yet? Well, there's also a floppy disc peripheral that some games support saving to. Yeah... I'd say the PS1 at least had it more standardized. The onboard, interchangeable battery (versus soldered) is nice but Sega seemed to definitely be figuring out saving. How does the 3DO handle it with no memory cards, assuming onboard SRAM or something of the sorts? I never heard any issues about saves failing on that system. Regarding the main topic, I need to research that GAME cart more. That may be my best option. You guys are right about wearing down the SS cart slot overtime swapping 2 ARs.